With the Croozer Dog you are the kind of person who really likes to be out with his dog? In the Croozer Dog you simply take your dog with you. 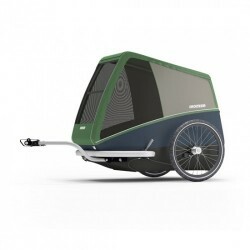 You can use the Croozer Dog both as a bicycle trailer and as a dog stroller. It always comes with both kits. Croozer dog bike trailer There are 3 products.